Energy healers have special ethical responsibilities. Some clients come to us as a last resort, when hope is at a low point and they are desperate. Clients may be mentally, emotionally and/or physically fragile and may be highly influenced by what we say. Because of the nature of our work and the trust that our clients place in us, we must operate with the highest level of care and integrity. Be truthful in representing yourself and your training, experience, and abilities. Be truthful in representing the results of your work. Don’t promise benefits that you can’t deliver. Follow the practice of informed consent: letting clients know what you expect to do, and getting their consent for your plan. Render care regardless of superficial differences such as personal appearance, origins or beliefs. Maintain unconditional positive regard for clients. Maintain a safe and hygienic practice space. Realizing the energetic impact that we have on clients, keep both words and thoughts positive. 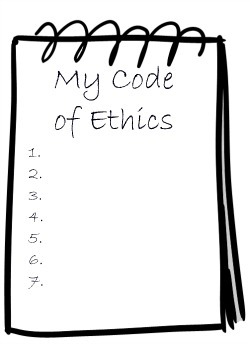 Be especially scrupulous about ethics when working with clients who have life-threatening illnesses or conditions. Don’t make promises to heal life-threatening health issues. Do no harm to the physical, mental or emotional well-being of clients. Don’t exceed your scope of practice. Do not attempt to diagnose medical or psychological conditions (unless you are also a medical or psychotherapy professional). Do not physically touch people unless you have the appropriate license or certification. Learn about common physical and mental health concerns. Urge clients to seek and follow conventional medical or mental health advice whenever they have medical or mental health issues. Don’t interfere with or undermine medical or mental health treatments. Don’t initiate or allow any sexual or romantic contact or relations with your clients (or allow violation of any other boundaries that make you or your clients feel uncomfortable). Don’t pressure clients to make subsequent appointments. If you charge for treatments, be above-board and completely scrupulous in business matters. Maintain required licenses, keep records, pay taxes. Stay out of gray areas. Recognize your own limits and your own needs for support. Have a program of self-care. Seek advice and support from others when needed. Actively and continually pursue personal and professional growth. What principles and ethics are important to you? Please feel free to use the Facebook Commenting function below for questions or comments about these ethical principles, or suggestions for additional items and issues. 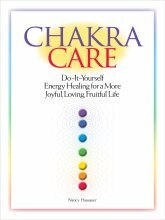 Go from Energy Healer Ethics to the Energy Healer Basics page. Have a comment for me? Have your say in the box below.